‘Just whack it on Rightmove’ not at Elizabeth Davenport! Almost all online and an increasing number of High Street Estate Agents attribute far too much importance on getting properties on websites like Rightmove as soon as possible. I see so many properties where the agents have simply just hurriedly taken a few snaps with a point and shoot camera and thrown them on to the web with little care or thought. Floor plans missing, generic descriptions and poor photography are becoming more and more prevalent. There is a view held by some that all you need to do is get the property on Rightmove and the enquires will flood in and a sale will follow! If only it were that simple! At Elizabeth Davenport we have a specific plan and strategy for every home that we market and we not only put a lot of thought and time into the marketing, we also follow a general three step process that allows us to market your home to its full potential. On the fist day we introduce your property to the market we contact all of our qualified registered buyers that on our database. These are people that we have spoken to and know their buying criteria, often these people are what we class as ‘motivated buyers’. This is because these people are proactive in their search and are often in proceedable buying positions (if this is you please call and register with us if you haven’t already). Your property will then be featured on the homepage of our website so in effect most visitors to our site will see your property straight away. After this we enter the second stage of the process. We upload your property to the ‘New and Exclusive Homes’ section of the OnTheMarket.com website. This is a really good feature as we register all of our prequalified buyers here as do all of the other member agents. 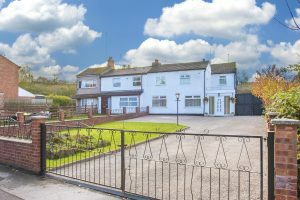 Usually 24-48 hours after the initial launch we then release the property to our other property portals including Rightmove where there are larger numbers of buyers but a lower concentration are proceedable. Any leads from this the final stage of introducing your property to the market will be qualified by our negotiators before viewings are arranged. After all this has taken place advertisements appear in print productions like the Coventry Observer and our own seasonal newsletter. Previous PostProudly Sponsoring Local Schools In Finham & KenilworthNext PostDon’t Believe Everything You Hear!